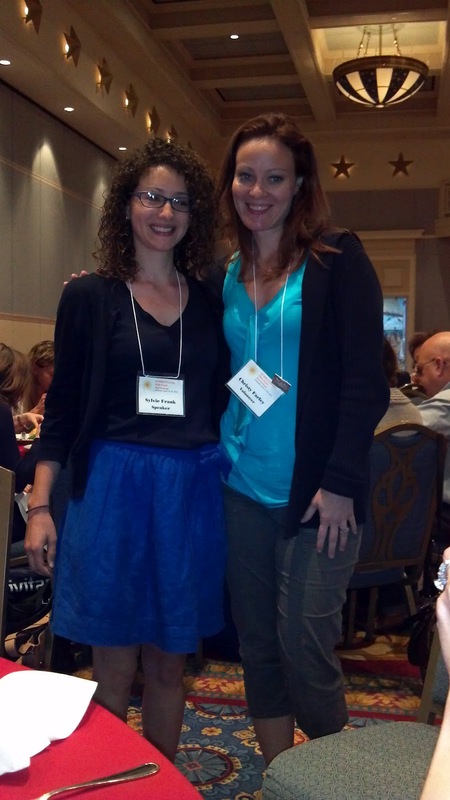 The SCBWI Florida workshop in Orlando, FL consists of two days. Friday is a day of intensives that focus on a writer’s craft in a particular genre. This year I decided to break out of my usual YA mold and stretch myself. I took the picture book intensive with Sylvie Frank, associate editor at Holiday House, and Andrea Davis Pinkney, a New York Times best-selling and award-winning author and Vice President Executive Editor for Scholastic. I was so impressed with the expertise and professionalism that both of these ladies had. After taking their workshop, I came away with new knowledge of how to use the economy of writing when creating a picture book as well as using a picture book dummy to determine if my pacing was on target. Excellent advice from Andrea: there is no such thing as writer’s block! I also loved how Andrea gave us a duel perspective on publishing. She showed us a book from the side of a writer and then turned the tables and showed us how an editor would think about that same project. I found that fascinating and it really gave me a new perspective on publishing. Sylvie had us create a picture book from paper so we could better understand how the picture book is laid out. Once we made ours, we then looked at the pacing of the picture book and how to determine if our story’s plot was strong enough. If you’d like to try, here’s a great link to get you started. Sounds like a great workshop! I have a PB idea floating around in my head but have no idea how to implement it into an actual thing. They walked you through that and MORE! Barbara- it really was an eye opener for me. Some things they shared seemed minor but those minor issues stick out in a story of 500 words or less! I also was able to come away with insights from Andrea that I could use for my novels as well. Ooooo, sounds like you had some good fun while learning something new. I’ve done the book-dummy, and though I’d love to think I can write a picture book, I haven’t managed yet. They are SO hard! I really respect those writers who can. That’s great that you tried something that wasn’t your usual genre! Sounds like an amazing conference. I’ll follow that link as I write pb’s too! Sylvie was so awesome! I wish I had gotten to hear Andrea speak, too! I need to do this one day, take a track other than YA. I tried PB writing with my critique group and it was wonderful, different from what I normally write, and I learned a lot but there’s more for me to take in. I agree that there’s no such thing as writer’s block. Sounds like it was a great workshop. Thanks for sharing a bit of it with us here. Sounds like an interesting workshop! Thanks for the notes.